08/06/2012 - In the first session of qualifying, the Roman driving for Prema Powerteam has been the quickest in 1'40'557 a tenth sharp faster than his team mate Brandon Maisano. The two Prema drivers managed to pull away from Riccardo Agostini on the Mygale belonging to JD Motorsport by nearly half a second. Mario Marasca will be on the side of the driver from Padova, on race one's starting grid thanks to his best lap of 1'41''064. The third row went to Henrique Martins (Prema Powerteam) and Sergey Sirotkin (Euronova). The Brazilian driving for Prema did not manage make concrete the situation at halfway through when the three drivers of the Vicenza based team were holding the top three places of the grid. 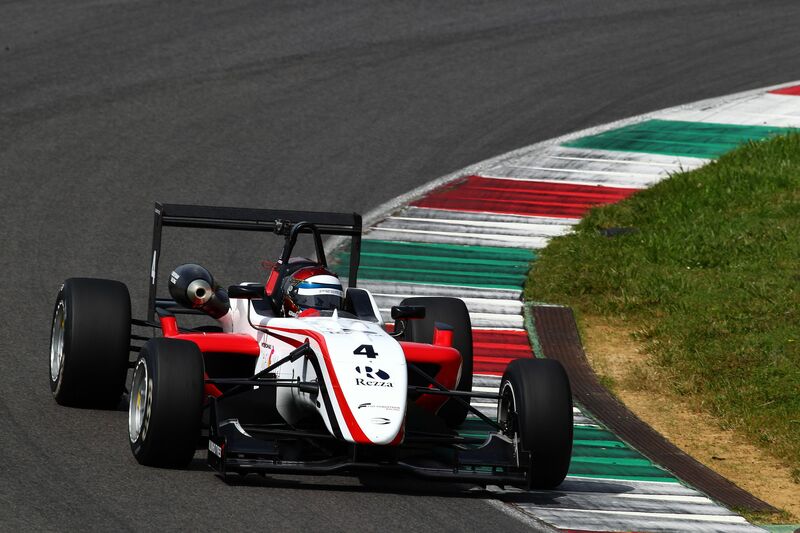 The Canadian of Italian origins Nicholas Latifi made good progress with the second Mygale of JD Motorsport and will be sided in fourth row by another Mygale, the one driven by Roman De Beer and belonging to team Victoria World, at the absolute debut at Mugello. Fifth row for the Romanian Robert Visoiu (Ghinzani) who appeared slightly struggling on the Tuscany circuit and for Maxime Jousse at the comeback on the Dallara of team BVM. The grid of race one will be completed by Gerard Barrabeig (Ghinzani) and Yoshitaka Kuroda (Euronova). The second qualifying session has been characterized by a red flag caused by the off track exit of Roman De Beer which stopped the time at halfway, but at the end of the session Eddie Cheever was again the fastest in 1'40''149, four tenths faster than the time set in the first session. Behind him again Brandon Maisano and Riccardo Agostini, while Henrique Martins will start on the side of the JD Motorsport driver. The third row of the grid went to Mario Marasca (BVM), who appeared to be growing on the Tuscany track and Nicolas Latifi (JD Motorsport), showing good progress on the turns of Mugello too. The fourth row of race two will be occupied by Gerard Barrabeig (Ghinzani) and Maxime Jousse (BVM), while behind them will start Robert Visoiu (Ghinzani) and Roman De Beer (Victoria World). The first race of the Mugello's weekend is scheduled for tomorrow afternoon at 15.10 (GMT+2) with live coverage on Rai Sport 2 and on web streaming on www.acisportitalia.it.